FOR REFILLING HP Cartridges and CISS Systems. Suitable for use with Deskjet D4145, D4155, D4160, D4163, D4168, 5740, 5748, 5940, 6520, 6540, 6543, 6840, 6843, 6940, 6980, 460, 5440, 5745, 6548, 6620, 6848, 9800. Officejet 6205, 6210, 6310, 6313, 6315, 7210, 7310, 7313, 7410, 7413. Photosmart C3100, C3170, C3180, C3183, C3190, C4100, C4110, C4140, C4150, C4160, C4170, C4173, C4175, C4180, C4183, C4188, C4190, C4193, C4194, D5160, 320, 325, 330, 335, 375, 385, 420, 422, 425, 428, 475, 2570, 2575, 2610, 2613, 2710, 2713, 7800, 7850, 8050, 8150, 8153, 8158, 8450, 8453, 8458, 8750. PSC 1500, 1507, 1510, 1600, 1610, 2350, 2353, 2355, 2710. 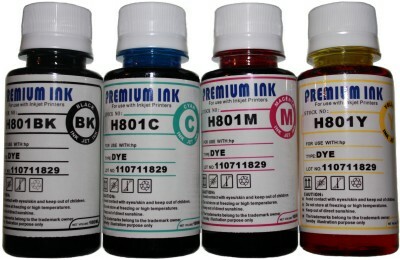 Plus many more printers that use the above cartridge numbers.